A Grand Tour, not The Grand Tour. Take in some beautiful sights, such as Richard Russell Scenic By-way and Brasstown Bald (the highest point in Georgia). 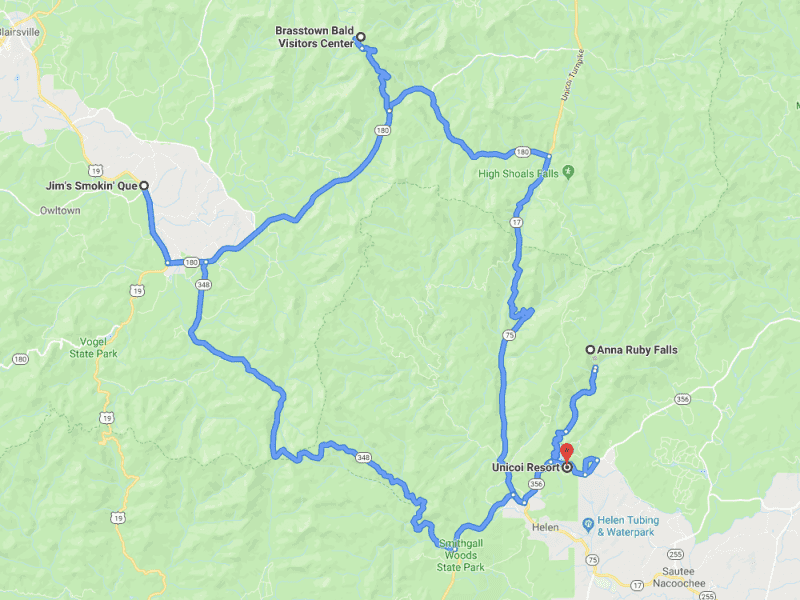 We'll head over to Blairsville for lunch and take some more curvy roads back to Helen for a couple of karting sessions at Alpine Extreme Speed. Then, we'll head back to Unicoi lodge with plenty of time to spare before dinner. This drive is limited to 10 drivers. 2 have signed up already.